FBN’s Charles Payne, NewOak Capital President, James Frischling, retail analyst Hitha Prabhakar, Penn Financial Group founder, Matt McCall, and FBN’s Tracy Byrnes participated in Fox Business‘ “Payne Picks” to share their outlooks on light weight metals manufacturer Alcoa Inc (NYSE:AA) in the back drop of the company’s second quarter earnings call on July 8. The program dwelt on the second quarter earnings report, which kick started the extended bull run executed by the stock by recollecting that, the company had reported a revenue of $5.8 billion, a 7% increase in revenue largely driven by the global demand for aluminum which was up 34%, which was coupled with Alcoa Inc (NYSE:AA) upstream business improving for the eleventh straight quarter. The participants agreed that these strong business fundamentals resulted in the company reporting that earnings for the 2Q came in 50% above the market consensus. Looking ahead, the report estimates that based on the Fy15 forecast which has got revised upwards on a weekly basis over the past few weeks, the company is all set to show growth in the next fiscal too. 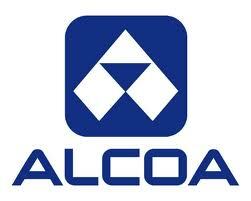 They pointed out that these projections are based on guidance provided by Alcoa Inc (NYSE:AA) customers in the aerospace sector which is expected to grow by 9 percent, while the packaging industry at 3 percent, while building and construction in 6 percent over the next 12 months. The report also highlighted that Alcoa Inc (NYSE:AA) had recently acquired Firth Rixson Limited which is a Jen engine component manufacturer in order to take advantage of the insatiable demand for aeroplanes from across the globe.